Langtang Gosainkund Helambu trekking is one of the most popular in terms of natural and cultural richness in the Langtang region of Nepal. Very few trekkers explore this area. 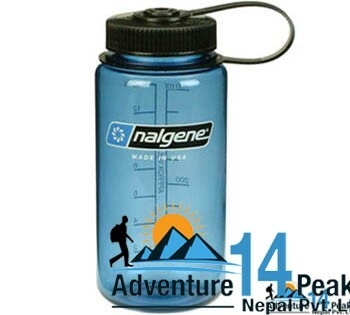 Here, Nepal’s first Himalayan National Park named Langtang National Park was officially set up in the year 1976. The northern and eastern border of the park adjoins with the Trans Himalayan border to Tibet. The western boundary is demarcated by the two popular rivers of Nepal- Bhote Kosi and Trisuli and towering Ganesh Himal with a range of 6000 to 7000 meters. The southern border lies 32 km north of the Kathmandu Valley. The park has temperate and sub-alpine vegetation. Wildlife includes migratory birds, deer, Himalayan black bear ,wild boar, leopard, ghoral, grey langur monkey and, Tahr and Pika. Trekking to Langtang- Gosainkund- Helambu is spectacular as well as adventurous for both nature lover and adventure enthusiasts. Langtang region is mainly inhabited by Tamang and Sherpa people whose religious rituals, language and dress are much more similar to those of Tibet. A journey to Langtang- Gosainkund- Helambu offers an opportunity to explore the ethnic villages, climb small peaks and visit glaciers at a extra comfortable altitude than other trekking regions in Nepal. Most of the trekking trails in Langtang and Helambu area are well connected with teahouses (lodges) offering shelter and food to the trekkers. Popular places you will encounter during the trek are Kyanjing Gompa, Tserko Ri (peak), Gosainkunda and Helambu. At Kyanjing Gompa you make day excursion to Tserko Ri from where the best view of Himalayan peaks such as Langtang Lirung, Gang Chhenpo, Naya Kangri, Dorje Lakpa,and yala peak can be observed. From Gosainkund and Helambu during the trek you will see Mt. Manaslu, Gourisankar and many other snowy peaks. Various villages inhabited by Sherpa, Tamang and Yolmo ethnic groups of people, terraced fields, Rhododendron and Bamboo forest are common sights at the start and the end of the trek. The trails are well maintained and you will walk through forests, meadows and pasturelands with yaks along the route. You will experience the changes in landscape, views and also culture and lifestyle of the people throughout the trek. Gosainkund Lake is a sacred site for Hindus and Buddhists. Every year in August on full night Gosainkund Lake is thronged with approximately 20,000 pilgrims to attend a big festival. Many Hindus believe that dying in a place as holy as Gosainkund is good for the soul and increases chances for being released from the cycle of rebirth. There are four or five teahouses clustered together in one corner of the lake. However, it is a very rewarding trek in a non-touristic area. Spring and Autumn is the best season for trekking to Langtang-Gosainkund-Helambu. We are saying good bye to the mountains as journey in Nepal comes to an end today! Approximately 3 hours before the scheduled flight a representative from Adventure 14 peaks will take you to the airport. On your way home you'll have plenty of time to plan your next adventure in the wonderful country of Nepal.